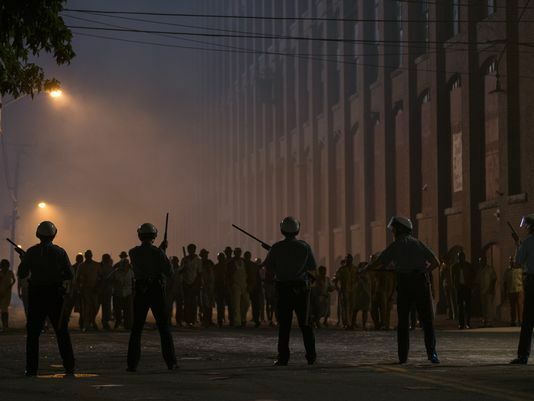 From Kathryn Bigelow, the Academy Award® winning director of The Hurt Locker (2008) and Zero Dark Thirty (2012), Detroit tells the harrowing story of one of the darkest moments during the civil unrest that rocked Detroit in the summer of 1967. With a script from Bigelow’s previous collaborator Mark Boal [The Hurt Locker (2008); Zero Dark Thirty (2012)] Detroit is released fifty years after the heinous events at the Algiers Motel, which resulted in the death of three black men and the brutal beatings and torture of nine other people – seven black men and two white women. A long, forensic unfolding narrative using dramatisation and archive footage follows an opening animated sequence which offers some historical and sociological context – the Great Migration of African-Americans from the rural south to the rest of the country during the First World War and the post-war exodus of whites to the suburbs. One hot day in the summer of 1967, rioting and civil unrest starts to tear apart the city of Detroit. Two days later, a report of gunshots prompts the Detroit Police Department, the Michigan State Police and the Michigan Army National Guard to seize and search an annexe of the Algiers Motel. Several policemen start to flout procedure by forcefully and viciously interrogating guests to get a confession. By the end of the night, three unarmed men have been gunned down while several others have been brutally beaten. On a second day of unrest, a soul review at the Fox Theatre with Martha and the Vandellas on the bill is cancelled just before a set from The Dramatics. Singer Larry Reed (Algee Smith) and his friend, Fred (Jacob Latimore) head to the Algiers Motel for the night for safety. There they meet up with two white women and five young black men in an annexe room. After a confrontation with Larry and to antagonise the National Guard, Carl Cooper (Jason Mitchell) fires a starting pistol out the window. Supported by the Guardsmen, Detroit Police raid the Motel and round up the occupants of the annexe. Sadistic racist Krauss (Will Poulter) and his colleagues then torment and beat these ‘suspects’ for a prolonged period, using a sick Stanford Prison-style torture ‘game’. 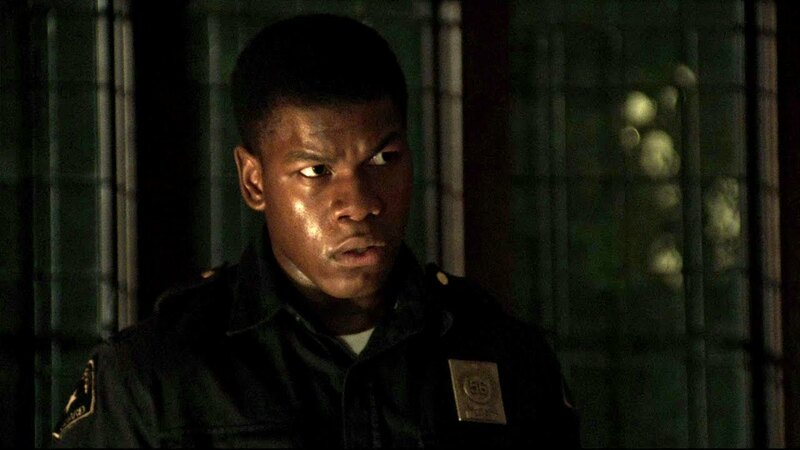 Melvin Dismukes (John Boyega) is a security guard by night and automotive worker by day who haplessly stumbles onto the scene – aiding the blatantly racist police and becoming complicit in the civil rights violations. The almost documentary-style cinematography by Barry Ackroyd and the real, raw, authentic ensemble acting make this horrific story of discrimination, institutional racism and torture gnaw away at your conscience, leaving you feeling angry, sad and depressed. But Detroit is an important cinema work irrespective of how uncomfortable it is to sit through, because it regrettably reflects a struggle that is still ongoing today. “Not everything that is faced can be changed, but nothing can be changed until it is faced,” James Baldwin wrote in ‘As Much Truth as One Can Bear’ in The New York Times Book Review (14 January 1962). Harrowing and horrifying as it is, Detroit must be seen – especially considering how relevant this story remains fifty years later.